I hosted New Year’s Eve and decided to do a photo booth as a way to capture the night’s moments. Watch the video to see how to make your own and check out the photos at the bottom of the post for the final results! Draw freehand or download a stencil online for lips & mustache silhouettes. Trace the stencil onto the card stock. Secure the shape to wooden dowel with a dot of hot glue. Find an area in your home that will function as your photo booth. Take the kraft paper and hang on wall with clear push pins. Decorate with tassel garland, white lights and/or other decor to match your theme. Use the backdrop as a guest book and have party goers sign it. 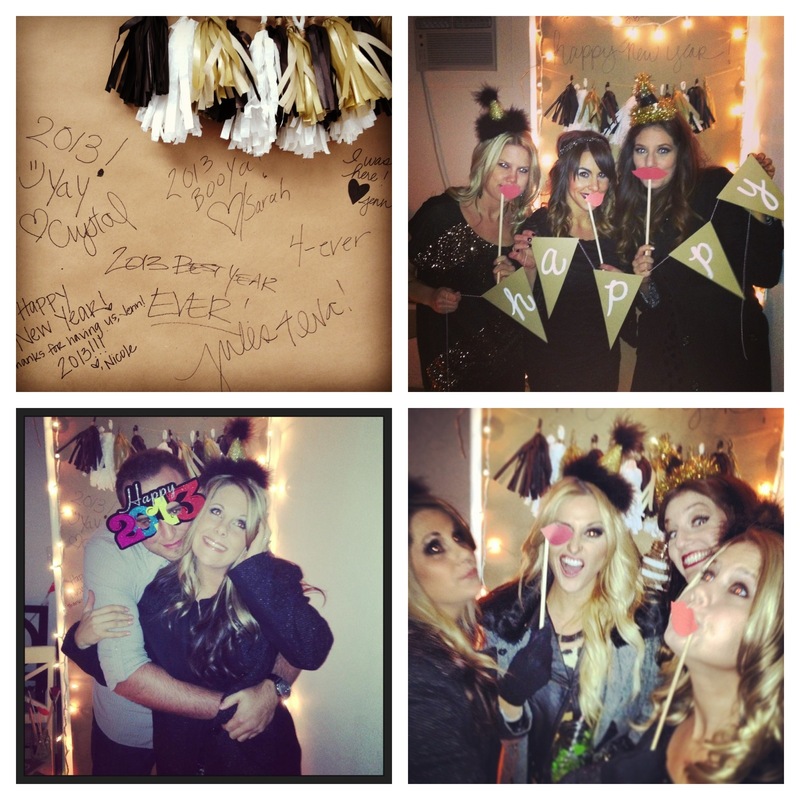 Write a hashtag (#newyearseve) on the backdrop as a reminder to guests to tag their instagram & twitter photos. If you have an old Polaroid camera feel free to bust it out or have your guests download the photo sharing app Flock onto their smartphones (you can send an invite to your friends to download the app before the day of the event).